Rajon Rondo has just made his movie debut. He's one of several NBA players appearing as themselves in the new Queen Latifah picture, "Just Wright." Others are Dwight Howard, Dwyane Wade, Rarshard Lewis, and Elton Brand. During timeouts, will Rondo be comparing reviews with Howard and Lewis as the Celtics and Magic battle in the conference finals? I'm not quite old enough to have seen Bob Cousy, but I've seen a lot of basketball since (a lot of other sports, too). I don't know that I've gotten such consistent pleasure watching an individual athlete's play as I have with Rondo over these past two playoff series. The best part of his game is how casual about it he seems. What he does on the court just sort of happens, or appears to: no gloating, no effort. He's as busy surprising himself as he is surprising us, except that Rondo's so confident it's only the specifics of what he does that surprise him, never the fact that he actually manages to do it. It's not especially original to observe that athletes are artists in their own right. What's interesting is when they remind you of specific performers. 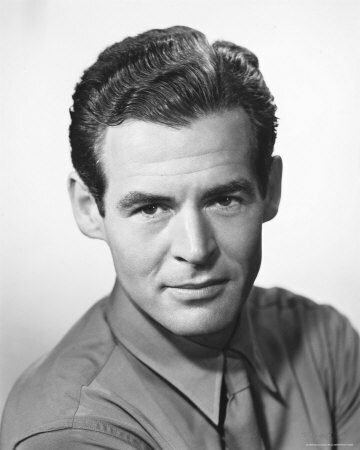 It can be how they look (Robert Ryan, below right, for "The Ted Williams Story," Matt Damon ditto for Tom Brady). It can be how they carry themselves. The first time I saw Allen Iverson at the Garden I thought here was proof there must be a third Nicholas brother. 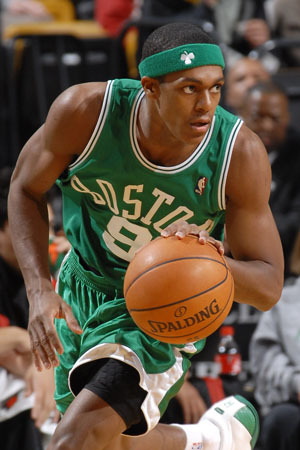 Or, as with Rondo, it's nothing quite so obvious. With Rondo, you feel as though you're seeing the equivalent of a great extended improvisation from a Sonny Rollins or John Coltrane. (In which case, think of the Big Three as the ultimate rhythm section.) Sonny and Trane are the godheads of the immense, ongoing solo: jazz's tutelary deities of the tenor. Except that Rondo, with his size, his quickness, has got to be an alto player. It can't be Charlie Parker, since basketball can have only one Bird. Rondo has the fluidity of a Cannonball Adderley, say -- but that leaves out his rebounding. No, it's the muscularity and ferocious swing of Jackie McLean on something like "Blues Inn" or "Tippin' the Scales," only done over and over again, that Rondo on the court reminds me of.